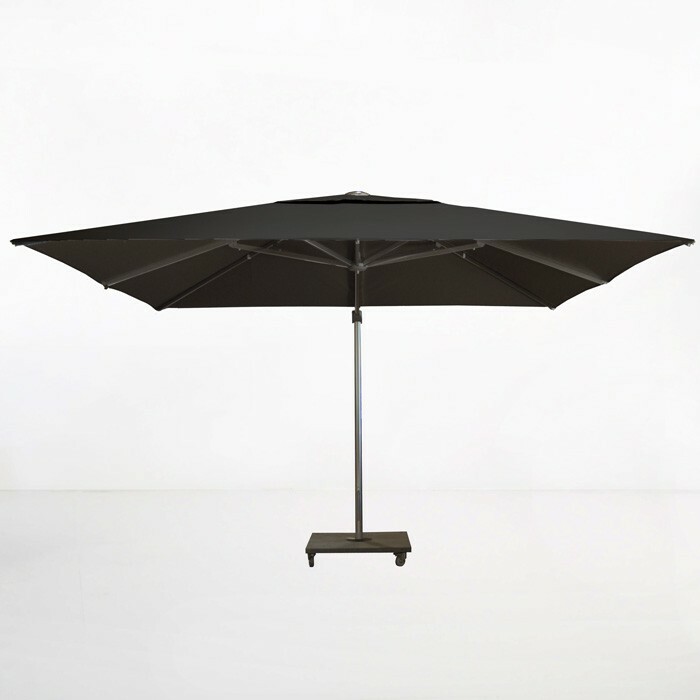 The Kingston Cantilever umbrella has a 360 degree rotational movement in the horizontal position while the canopy has a tilting mechanism for shade at varying angles and heights. The 415lb granite stand can be moved easily with wheels and brakes for additional safety. 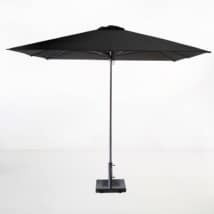 The pole size for this umbrella is 3” x 5” and also available is a permanent in-ground stand for this product. 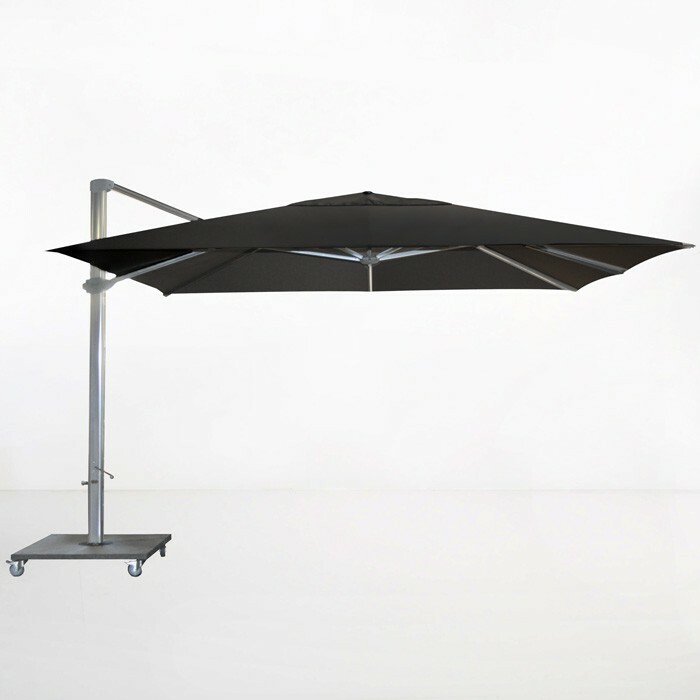 The height of the Kingston Cantilever Umbrella is 117” from ground to the top of the black canopy, including the height of the base. 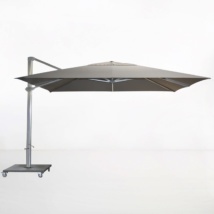 The price of this cantilever umbrella includes the granite stand with wheels. 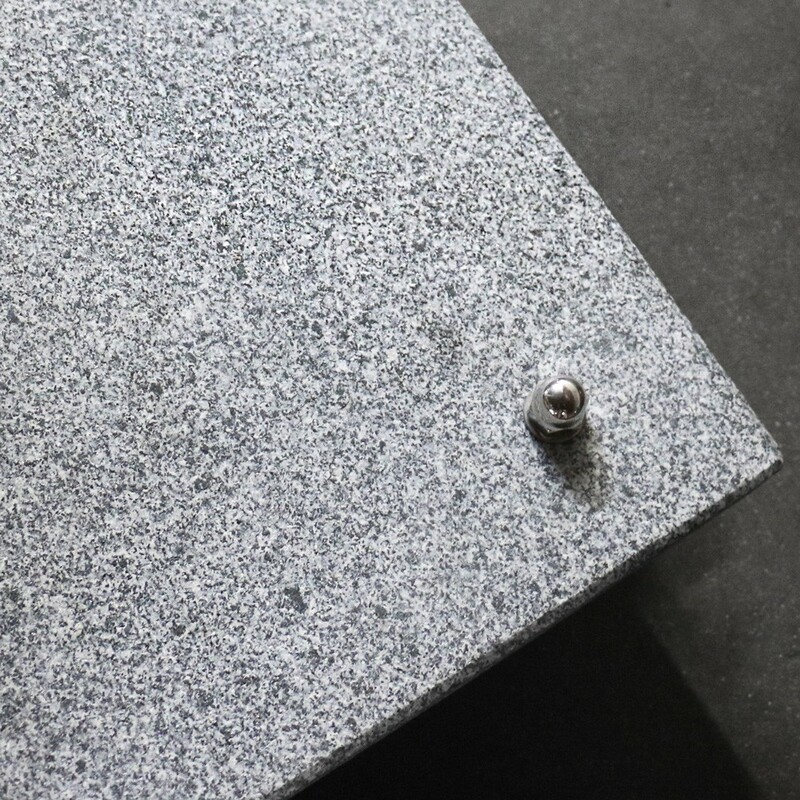 The in-ground base option is available for $245. Canopy 13' sq., Height 117", Mast 3" x 5" diam. 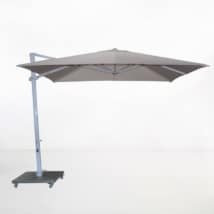 Canopy 3.9sqm, Height 297cm, Mast 7cm x 12cm diam. 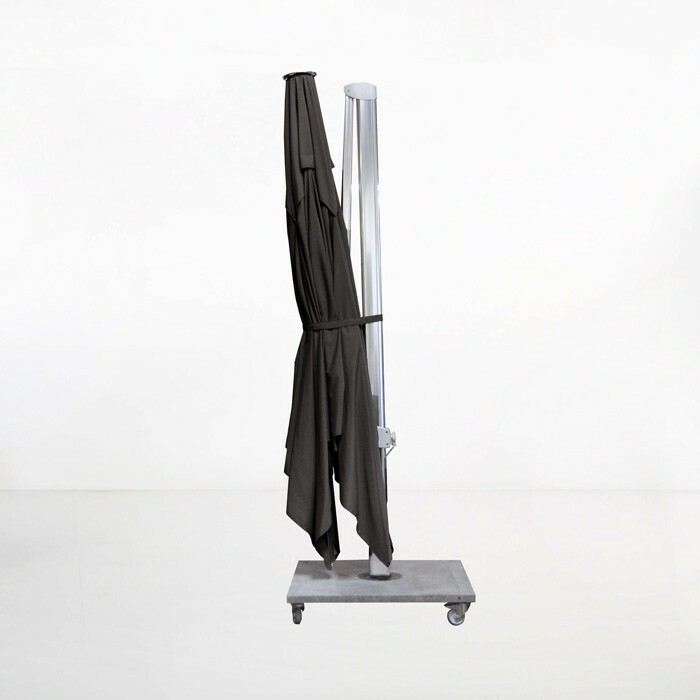 Whether covering you and your guests during lunches on hot summer days, hanging over a Deep Seating set as you relax in style, or covering the loungers by the pool; this magnificent black square cantilever will keep you shaded in absolute style and comfort! Try a Kingston Cantilever Umbrella in Black over our Coast range for a sophisticated look, or swing it around to shade your Long Island Teak Table with Horizon Chairs and you will have a wonderful outdoor area that will serve you stylishly all year round. 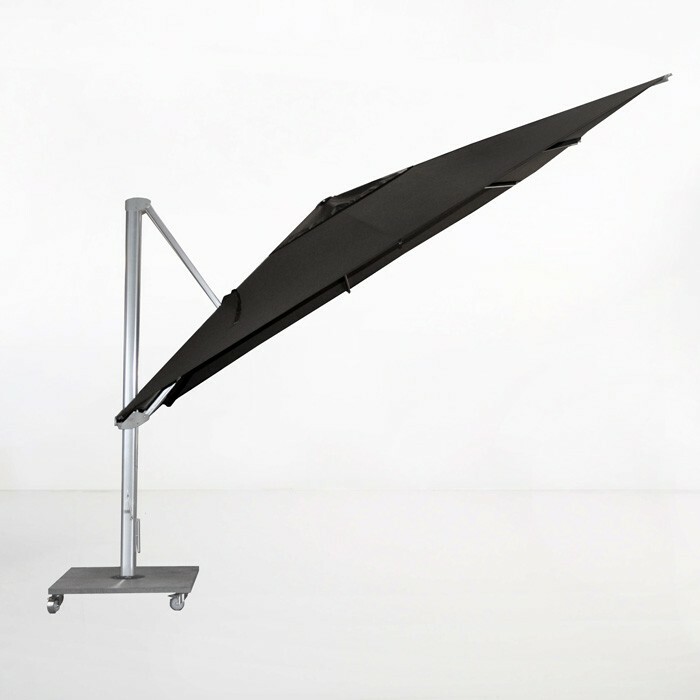 Perhaps you have a lovely, large area by the pool, set up a small dining set and a couple of sunbeds, and, of course, your black Kingston Cantilever Umbrella! Imagine our lovely Parisian Café Rectangular Table and matching side chairs, two Tango Loungers in Black with this Black Cantilever. You will be absolutely charmed by this delightful setup in your very own backyard! Available in Black (shown), and three other popular colors. 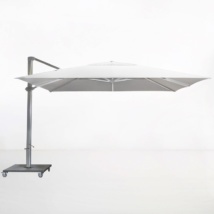 The Kingston Cantilever Umbrella includes an umbrella cover for those days when the sun is hiding for winter.